While she was looking at the camera, she suddenly veered off of the road, over-corrected and lost control of her vehicle. She left the road and crashed through a fence, causing the vehicle to overturn. Both her sister and her sister’s friend were ejected from the vehicle. Sanchez could be seen on video after the crash talking about how she had killed her own sister. She was taken into custody on multiple charges. Her parents said that they lost two daughters in the crash because one was killed and the other is incarcerated. The girl’s tragic case illustrates some of the many risky driving behaviors that teen drivers commonly engage in and that place others at risk. Under California Vehicle Code § 23152(a), it is illegal for anyone to operate a motor vehicle while under the influence of alcohol or drugs. Under subsection (b), it is illegal to operate a motor vehicle if your blood alcohol concentration is 0.08 percent or higher for adults who are 21 and over. Since Sanchez was 18, the blood alcohol concentration limit for driving in the state is 0.01 percent, which is substantially lower. This means that a minor may be charged with drunk driving if he or she has consumed any alcohol at all. In Sanchez’s case, it is unknown what her blood alcohol concentration was until the tests come back, but if they show any amount of alcohol in her bloodstream, her drunk driving charge will likely stand. It is also illegal in California under California Vehicle Code § 23123.5 to operate a motor vehicle while using a handheld device such as a cell phone. While this particular statute is often difficult for law enforcement officers to prove, that is not the case in Sanchez’s incident. She live streamed herself while she was driving as well as during and after the accident, so it is obvious that she was driving while simultaneously using her cell phone. In addition, what she was doing while she was driving was distracted driving. She was also listening to music, talking and using her cell phone, interrupting her attention and taking it away from the road. One of the charges that Sanchez is facing is gross vehicular manslaughter, which is a felony offense under California Penal Code § 191.5. Under that statute, the offense may be charged when an intoxicated driver kills another person in a drunk-driving accident without having malice aforethought. Under subsection (c), the offense is punishable by a term of imprisonment of four, six or 10 years for first-time offenses. In Sanchez’s case, she will be facing this potential punishment in addition to the potential penalties for her other charges. Every day, eight teenagers are killed in the U.S. in accidents involving alcohol. Sixty percent of all teen deaths in motor vehicle accidents involve alcohol, and 40 percent of fatal alcohol-related crashes involve teenage drivers. While these statistics are troubling, the Centers for Disease Control and Prevention reports that teen drinking and driving rates have decreased by 50 percent since 1991. 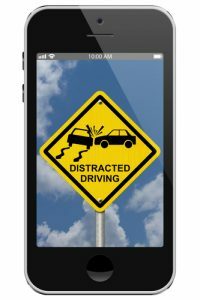 Twelve percent of teen crashes involving distracted driving were caused by cell phone use. Singing and moving to music was involved in 8 percent of the crashes. Interacting with other passengers while driving was involved in 15 percent of the crashes. Looking at something in the vehicles was involved in 10 percent of the crashes. In Sanchez’s case, all four of these individual types of distracted driving were involved in addition to her alleged intoxication. The statistics and Sanchez’s case demonstrate that parents and educators must take additional steps to teach young drivers about the dangers of risky driving behaviors in order to protect them and others. Unfortunately, teenagers cause many accidents that injure or kill others. As inexperienced drivers, they are much likelier to be involved in crashes. When they engage in risky driving behaviors, the risks increase dramatically. If you have been injured or your loved one has been killed in an accident involving an intoxicated, distracted or otherwise negligent teenage driver, you may need legal help. An experienced Los Angeles attorney may be able to identify additional sources of recovery so that you can maximize the amount of compensation that you might recover for your losses. Contact us today to learn more about your potential rights in your case.